Your marketing won’t be effective if your potential customers don’t believe the claims in your marketing communications. So how can you prove your claims? This is especially important now that the Federal Trade Commission is establishing regulations for claims and reviews posted online. Here are some things to keep in mind when making claims about what your product can do. Tone it down. Even if it is true, your claim that dieters can lose 50 pounds in a month probably won’t be believed. Make it more realistic and representative of typical results. Get customer testimonials. Let them see that others have had great results. Testimonials should be specific and include a real name for the most credibility. Make yourself accessible. Give a phone number or email address where customers can contact you (or support staff) directly with questions. Phone numbers are especially valuable in creating the awareness that you are approachable by clients. Cite statistics from a reputable source to back up your claims. There is a joke that 67.8% of all statistics are made up on the spot! When you use statistics, tell where they came from. And, never make claims that aren’t true. If you are caught in a lie, it can be difficult or impossible to reclaim the trust of your customers, as well as creating legal headaches for you. One of the most effective ways to get people who do not know you to do business with you is by sharing what the people who do know you–your current customers–have to say. If you do not have a collection of great customer testimonials, now is the time to start collecting them. Many businesses believe that the only way to get blurbs and testimonials is to wait for customers to offer them. However, waiting for the random letter to arrive may not give you the number or type of testimonials you need. Instead, have a proactive strategy of seeking testimonials. First, think about what benefits you offer to clients. Focus most on the benefits that set you apart from your competition. Do you serve more than one market? List the benefits and competitive edges you have in each market. Now, go about getting quality testimonials from your clients that demonstrate each of the benefits you have identified. A quality testimonial is specific. Compare, “Acme Widgets are great,” to, “Acme Widgets saved us $50,000 in one year by reducing our down time.” The first one doesn’t tell you anything about why the customer likes Acme Widgets. It is also best if the testimonial is attributable to a specific person. If the testimonial comes from, “Robert C. Johnson, VP of Manufacturing, Big Famous Corporation, Inc.,” it has more credibility than if there is no name (or just initials) attached to it. You may already have specific, attributable testimonials for some of the benefits you have identified. Great! Now, look for ways to get customer comments on the rest. Start by reviewing your email and mail. Has someone sent a compliment that could become a testimonial? Think back to recent conversations with customers. Was someone enthusiastic about your product or service? Contact those customers and ask for permission to use what they said. Still looking for more testimonials? Start contacting customers and asking them about their experiences with you. Ask why they like your products and services. Consider first approaching the clients whose opinions will have the most effect on potential customers, e.g., Fortune 500 companies, famous individuals, etc. What if they didn’t say it quite the way you would? Edit what your customer said, and send it to them for approval. Let them know that you appreciate their comments and you made a few changes to fit available space. Or, if they gave you comments orally, say that you hope you captured their meaning. Make it clear that you are not trying to change the substance of their words. Ask them to review the testimonial and return it to you with permission to use it in your marketing. Also let them know they should specify how they want to be identified. For example, some might want you to mention their Web sites, authors always appreciate having their books mentioned, etc. Once you have your testimonials, use them in your advertising, Web site, brochures and other marketing materials. And never stop seeking more and better testimonials. Getting testimonials from your customers can build your credibility and inspire customer trust. But there is also value in giving testimonials. When you are quoted, it puts your name in front of an audience and presents you as someone whose opinion should be trusted. You know, an expert! You may be asked to give a testimonial if you are seen as someone whose opinions are respected. Some of the ways to create that reputation include being a published author, media source or speaker. However, even if you’re not there yet your recommendations have value. Don’t wait to be asked. When you have a good experience with a business, let them know. Write a letter or send an email telling why you like the product or service. Very few people take the time to do this, so your endorsement has value. Testimonials are most effective when they are specific, so tell what benefits you received. Did you save time or money? Or get a result that exceeded your expectations? When you are asked for permission to use your testimonial, request that they include your name, business name and web site URL. Instead of a business name, you may want a product name or your book title mentioned. Exchange testimonials with friends and associates. Don’t fake them, but if you can truthfully tell what a friend’s product or service did to benefit you, do so. They can return the favor, if they have done business with you. In addition to giving your endorsement, you can get attention and build a reputation as an expert by writing reviews. Review products, services or companies in print and online publications, or simply at your website. Your reviews may be quoted in promotions and advertising. Sites such as epinions.com will pay for your opinions, although the pay is typically pennies, not dollars. Your review doesn’t have to be a glowing endorsement to get you positive attention. After writing a review of an unsatisfying encounter I had with an Internet Service Provider’s (ISP) staff, I was interviewed by a reporter for a financial magazine who was doing a piece on customer service issues at ISPs. 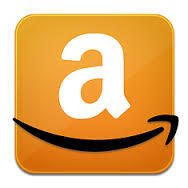 Set up an About You page in Amazon.com’s Friends and Favorites area (from the Amazon.com home page, click on Your Store, then Your Profile). Then, write reviews of your favorite books, movies, computer equipment, gadgets, and other products. Readers who enjoy your reviews can visit your About You page to learn more about you and your business. This is most effective when you review products related to your business. Start offering unsolicited testimonials, and soon you will have others seeking your endorsement as a respected opinion-shaper.